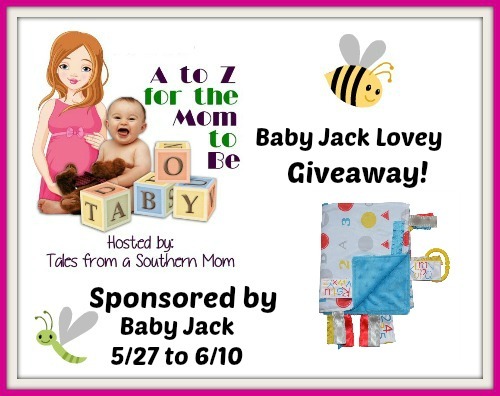 Here's another awesome giveaway from Tales from a Southern Mom's A to Z for the Mom to Be. This one is for a Baby Jack Lovey, a $25 value. Check it out, and enter in the giveaway form below. Check out what she thought of the Baby Jack Lovey Here! Dates: 5/27 - 6/10 Open to US Residents 18+. Enter to win using the widget below.